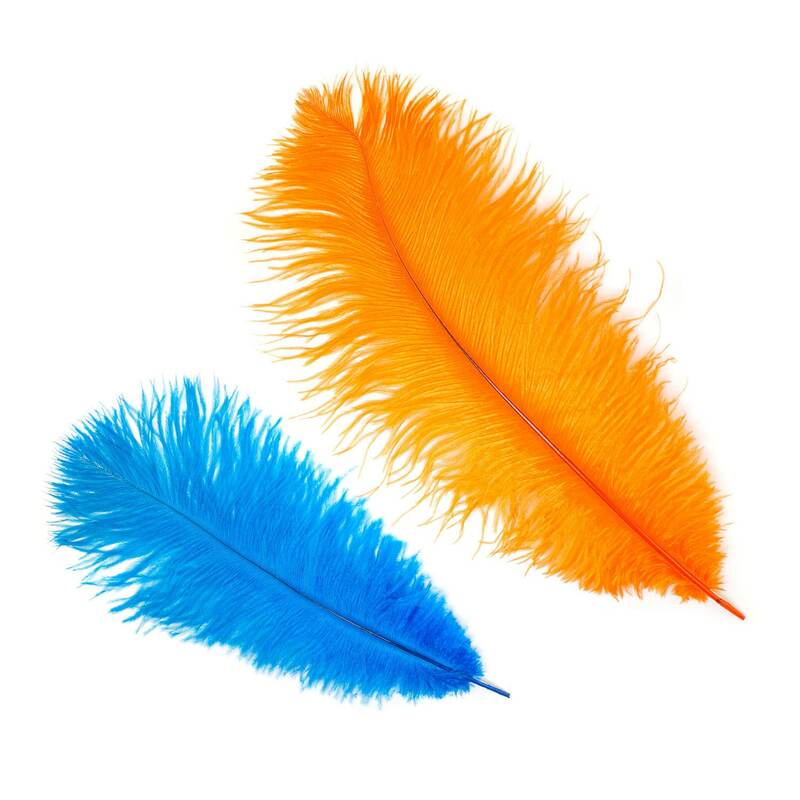 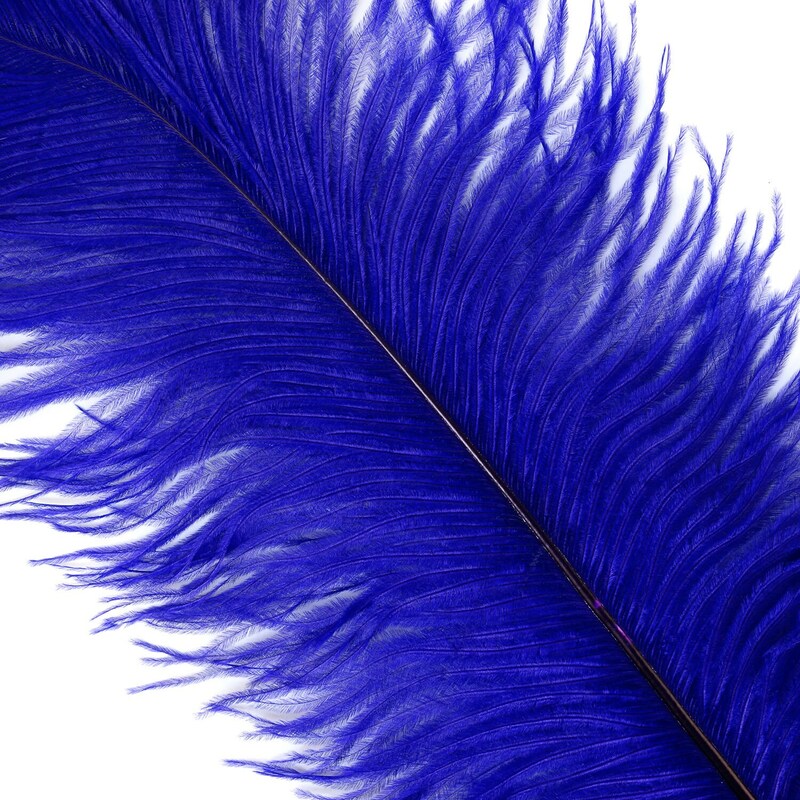 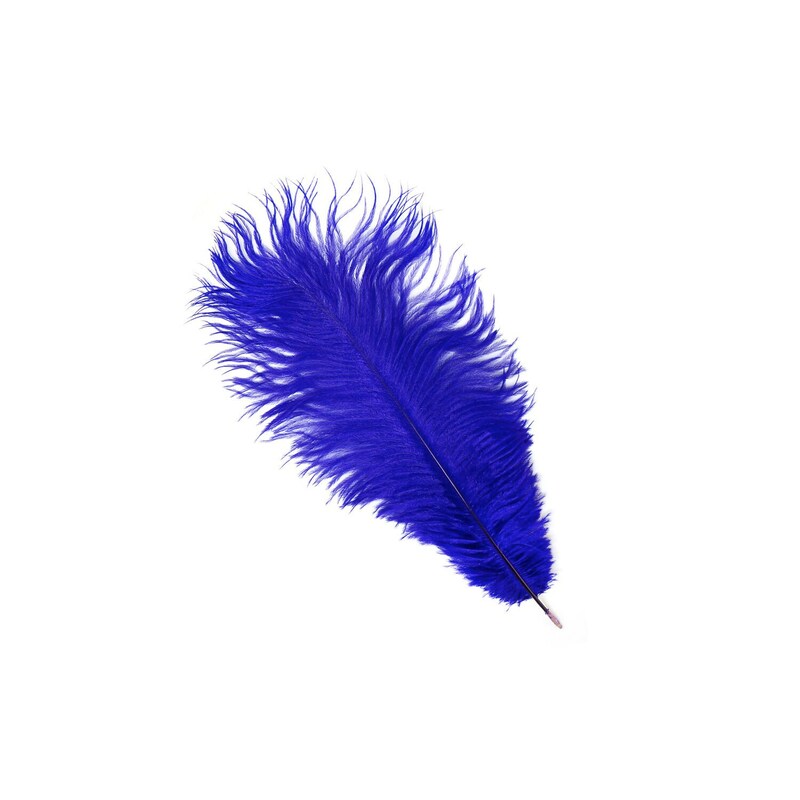 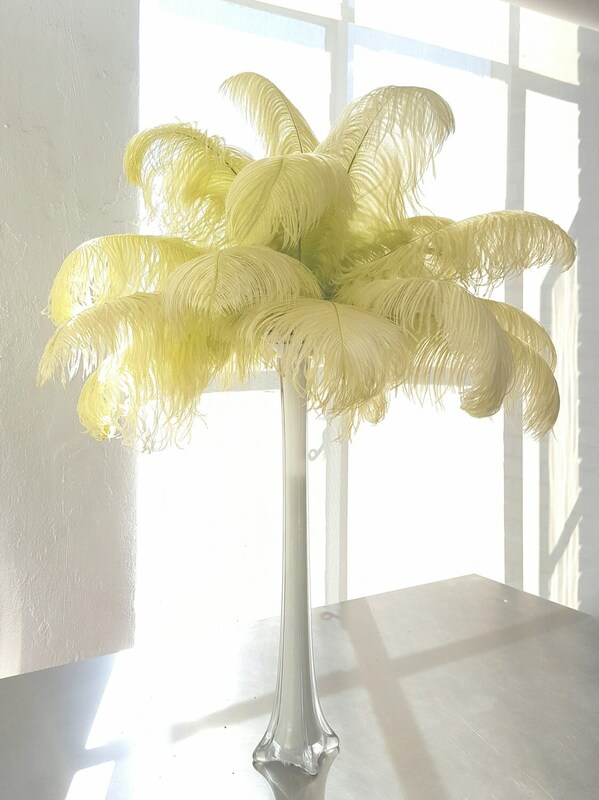 Our OP15 Ostrich Feather Drabs range in size from 13-16 inches long and and are available in a variety of colors for all of your projects. 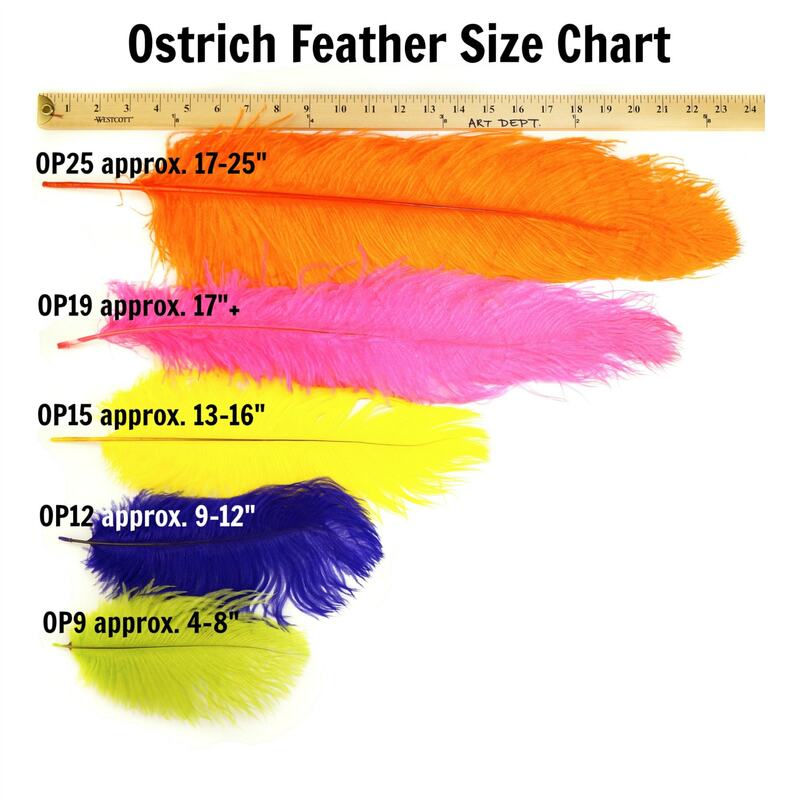 OP15LB Ostrich Drabs have wispy hair-like feathers coming out from a stiff center quill (between 2-4 inches long) making the overall width approximately 4-8 inches. 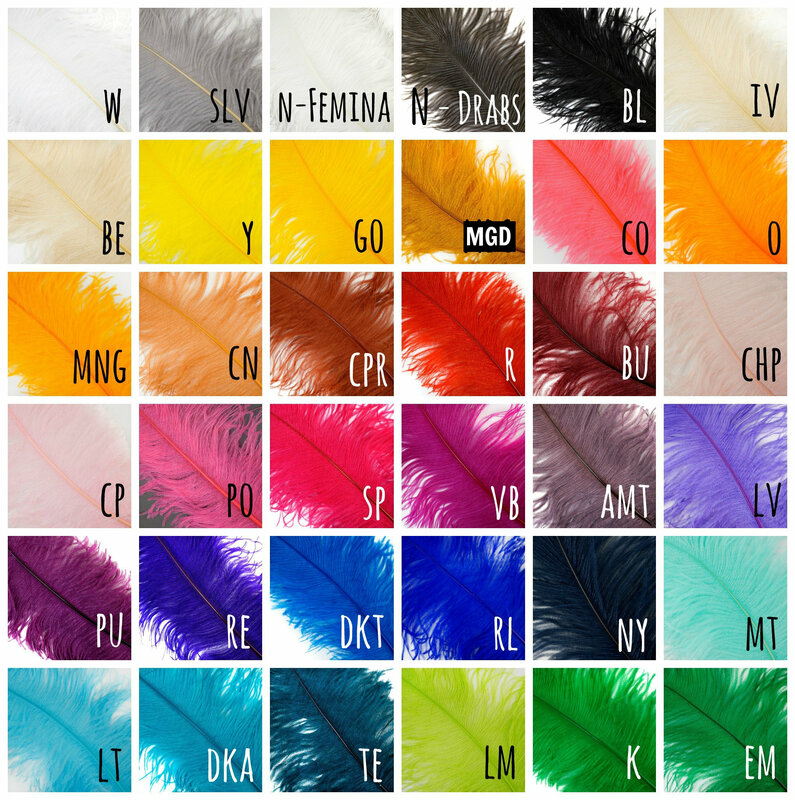 Image details : Made with 20 OP15 Ostrich Drab Plumes 13-16" - - Make sure to order accordingly.